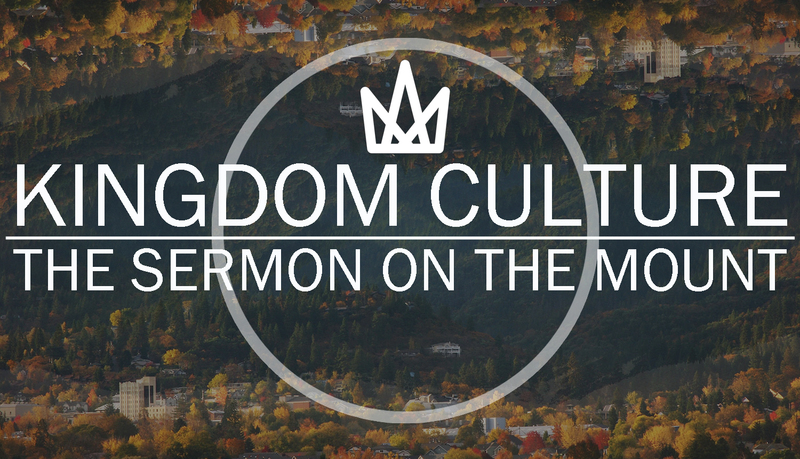 Last week explored the teaching of Jesus on purity in the Sermon on the Mount. As Jesus makes application of His fulfillment of the law, I think that it is fitting and purposeful that He would begin with the inside of a person; that He would focus on the need for us to have pure hearts, minds, and motives. Because it is from the inner life that flows the outer life. As we talked about last week, our words flow from our hearts. Therefore, the words that we use are reflective of the condition of our hearts. This week, we continue in our series and we will be looking at Matthew 5:33-37. You can turn in your bibles or open your bible app on your device now. It will also be on the screen. I think our message today would be well served to be introduced with this video. At the earliest age that we can remember, we have been embattled with being honest. Even at Maisie’s young age, we see the tension in her to tell us the truth, or to tell us some imaginary answer, or better yet – to bring her hands up and over her eyes and cover her face. We are given the opportunity hundreds of times each day to tell the truth or to not tell the truth. It’s always fun when I go home and during a conversation I began talking about something that I did growing up and my mom or dad will look at me with a puzzled look. I then realize that they do not know what I am talking about but before I can change direction they say, “wait, I thought you were…” Yes – even at 36 years old I get busted for some of the lies I told growing up. I remember in Junior High we had dances during the school day. The big thing was in 8th grade having an evening dance. I was told that I couldn’t go and both of my parents were working that evening. I was also told not to be on the phone all night. Since they weren’t going to be home, I decided to go to the dance anyway. My dad would call periodically throughout his shift at the hospital to check on me so I left the phone off the hook so he would get a busy signal. I had a friend come pick me up and off to the dance I went. I had a great time and came home like I had never left. When my dad got home he asked me why the phone had a busy signal every time he called. Of course, I had already planned my answer and told him that I had been talking on the phone to friends. That was not the first time and it certainly wasn’t the last time that I lied to my parents. But it was more than the lie. It was that I was being dishonest by sneaking out, leaving the phone off the hook to cover for me, and then actually lying to my dad when he asked. As we explored last week – the rabbis in Jesus’ day tended to be permissive in their attitude towards sexual immorality, murder, and divorce. Their teaching about truth telling was also permissive and yet another example of their deceitful treatment of Old Testament scripture in order to make it more flexible to obedience. Moses often emphasized the evil of not upholding a vow or an oath made to the Lord. 21 “When you make a vow to the Lord your God, be prompt in fulfilling whatever you promised him. For the Lord your God demands that you promptly fulfill all your vows, or you will be guilty of sin. The emphasis of the Mosaic law was to prohibit false swearing or perjury; making a vow and breaking it. However, the Pharisees shifted people’s attention away from the vow itself. They focused on the way the vow was made as the issue. Think of it this way. The Pharisees emphasized that the law was prohibiting taking the name of the Lord in vain instead of taking the name of the Lord in vain. They concluded that false swearing meant profanity as opposed to dishonestly pledging your word. So, they developed elaborate rules for taking vows and listed which formulas were permissible to use. They were not concerned about keeping vows that didn’t include the divine name. Jesus expressed his disdain for this recorded later in chapter 23 of Matthew. 16 “Blind guides! What sorrow awaits you! For you say that it means nothing to swear ‘by God’s Temple,’ but that it is binding to swear ‘by the gold in the Temple.’17 Blind fools! Which is more important—the gold or the Temple that makes the gold sacred? 18 And you say that to swear ‘by the altar’ is not binding, but to swear ‘by the gifts on the altar’ is binding. 19 How blind! For which is more important—the gift on the altar or the altar that makes the gift sacred? 20 When you swear ‘by the altar,’ you are swearing by it and by everything on it. 21 And when you swear ‘by the Temple,’ you are swearing by it and by God, who lives in it. 22 And when you swear ‘by heaven,’ you are swearing by the throne of God and by God, who sits on the throne. And Jesus declares a similar sentiment in the Sermon on the Mount. King. 36 Do not even say, ‘By my head!’ for you can’t turn one hair white or black. 37 Just say a simple, ‘Yes, I will,’ or ‘No, I won’t.’ Anything beyond this is from the evil one. The point of the law was not to focus on giving an oath by some formula with certain words. The purpose was to follow through on the oath’s that you make. To be honest. Because everything is the Lord’s and when we are people of our word, vows become irrelevant. Once again, the Pharisees are teaching a view of the law that is not keeping with its intent. Jesus is declaring that it is the intention that is important and that he came to fill full. To think of honesty as a rule or policy to follow is getting stuck with the Pharisees and missing out on what God really desires for us. Honesty must come from the heart. as the truth (John 14:6, 16:13; 1 John 5:6). Similarly, God’s word is called the truth (Psalm 119:142, John 17:17). Theologically, honesty is a virtue because, like all the virtues, it is rooted in God’s nature. Truthtelling is a moral principle to be followed because God is truthful, and we are called to emulate his character. If that is the overarching importance of honesty, what about us personally? Many of us could agree that honesty is important in the general sense but what about for you and for me? We must have the courage to be honest with others. Being honest isn’t easy. Looking someone else in the eye and telling them the truth will take courage. We must be honest with God. God sees us just the way we are but often we try and hide. Adam and Eve, after they ate of the fruit of the tree, clothed themselves and hid in the bushes. It is natural to feel shame, guilt, or any other emotion and we can be and need to be honest before God. Okay, so I understand the importance in general and that I should be honest but man – it is hard! It makes the us vulnerable. Honesty is really opening up our hearts to another person (and to God) and bearing our soul. Doing that makes us vulnerable to rejection, to be made fun of, to retaliation. 2.It can hurt someone. Being honest can many times put you at risk of hurting someone. It is important to speak the truth in love but that doesn’t mean it won’t hurt. The thought of hurting someone can many times deter us from being honest. And if we are dishonest and our lies our revealed, it will hurt someone. Proverbs 10:9 – 9 Whoever walks in integrity walks securely, but whoever takes crooked paths will be found out. It opens us up to criticism. Along with making us vulnerable, when we are honest it can open ourselves for someone else to take advantage of that honesty or seek to exploit what they may see as a weakness. But the reality is that honesty is vital to us as God’s creation and there are many things that hinge on telling the truth. Authentic communication requires truthtelling a.You cannot be real without being honest. Relationships cannot be built on lies. Relationships are built on trust and mutuality which honesty is a core component. Ephesians 4:25 – 25 Therefore each of you must put off falsehood and speak truthfully to your neighbor, for we are all members of one body. When we lie to someone, we are treating them less than they should be treated as our fellow human beings. When honesty is lacking, someone is leveraging a power struggle which dehumanizes the other. Truth telling is a moral principle to be followed because God is truthful, and we are called to emulate his character. The efficacy of polygraphs is debated in the scientific community. In 1991, two thirds of the scientific community who have the requisite background to evaluate polygraph procedures considered polygraphy to be pseudoscience. In 2002, a review by the National Research Council found that, in populations “untrained in countermeasures, specific- incident polygraph tests can discriminate lying from truth telling at rates well above chance, though well below perfection”. We can’t trust the liar and we can’t trust the detector; what are we going to do? No matter how we look at it, then, the biblical expectation is that we tell the truth. Above all, honesty is a virtue because, like all virtues, it is rooted in God’s nature. Truthtelling is a moral principle to be followed because God is truth, and we want to be in a close relationship with God. The only way to draw close to the truth is to be truthful. In other words, God’s Law is not only prescriptive—God tells us to tell the truth— it is also descriptive—God describes himself as truth. If God’s laws for us are considered descriptive of how we were created to be in relationship with him and with one another, then deception denies our very humanity, reduces us to less than who God created us to be, and damages ourselves and others. In short, the basic attitude of the human faith is “speaking the truth in love, we must grow up in every way into him who is the head, into Christ” (Ephesians 4:15). “For we cannot do anything against the truth, but only for the truth” (2 Corinthians 13:8). If we are to be people of character and integrity then it comes through being honest. The Lord Jesus is of grace and truth and we are to worship him in Spirit and truth. One way that we can worship him is through receiving of communion. As we respond this morning, we respond by engaging in the sacrament of communion. Receiving the gifts of the body and blood of Christ celebrate his birth and anticipate his second coming – the very thing that we celebrate during Christmas. The Supper is a means of grace in which Christ is present by the Spirit. It is to be received in reverent appreciation and gratefulness for the work of Christ. All those who are truly repentant, forsaking their sins, and believing in Christ for salvation are invited to participate in the death and resurrection of Christ. And so, we gather as the Body of Christ to offer ourselves to you in praise and thanksgiving. Pour out your Holy Spirit on us and on these your gifts. Make them by the power of your Spirit to be for us the body and blood of Christ, that we may be for the world the Body of Christ, redeemed by His blood. By your Spirit make us one in Christ, one with each other, and one in the ministry of Christ to all the world, until Christ comes in final victory. In the name of the Father, Son, and Holy Spirit, Amen.